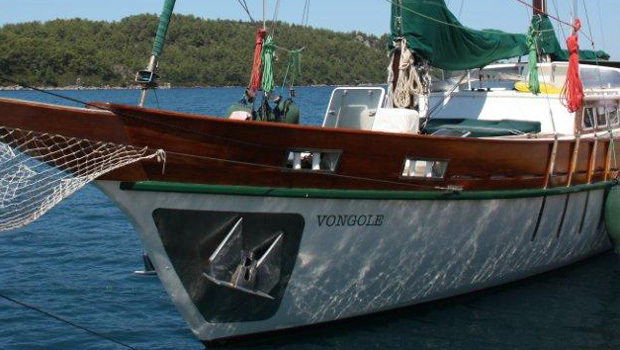 A magnificent example of a Turkish gulet, Vongole is your answer to a blissful cruise on the Turkish Mediterranean. It is a relaxing and unforgettable way to see Turkey's enchanting coastline. We can send you sample gulet cruising routes for 7 or 14 days starting in Bodrum, Marmaris, Gocek, Fethiye or Antalya with flexibility for you to decide what you would like to see and do. We have a selection of beautiful gulets with discrete, professional crews. Bareboat sailing can be arranged on request. Most importantly, our gulet crews are the best. Apart from being qualified and experienced your Turkish captain, cook and deckhands look after you efficiently and discreetly and ensure that your gulet holiday in Turkey is memorable. Our most popular gulet sailing itineraries are Bodrum and back to Bodrum, Bodrum to Marmaris or Gocek or Gocek and back to Gocek. Further afield we can also offer gulet holidays round Antalya and in the Greek Islands near to the coast of Turkey. Your gulet will cruise for a few hours in the morning stopping for lunch, swimming, water sports or sightseeing. Then a few more hours in the afternoon with a stop for tea followed by overnight in a bay, typical Turkish village or small harbour. Starting from Bodrum a gulet cruise could take you into the Gulf of Gokova for a week or more of complete relaxation. Pine covered slopes drop down to quiet bays and small sandy beaches where the only inhabitants are honey bees, goats and the odd fisherman. At the head of the Gulf, in Sogut and Ingiliz Limani, there are a few rustic bars and restaurants in the small villages ashore but even here the pace of life is slow, the atmosphere tranquil. The ancients must have felt the same; Anthony and Cleopatra supposedly fell in love on Sedir Island where the sand was shipped especially from North Africa. There are no obvious historical sites in this gulf but if you stroll ashore you come across unexpected ruins dating from before Christ to the Byzantine Empire. The water is perfect for swimming and all stress melts away after a week in these surroundings. Across the mouth of the Gulf of Gokova from Bodrum is Knidos , the Gulf of Hisaronu and more evidence of ancient settlements. In Knidos your gulet actually anchors in the original harbour with a view of the ruins of temples and theatres scattered about the slopes. Further into the gulf the landscape becomes mountainous and in many bays there is evidence of Roman, Hellenistic, Byzantine and medieval habitation. You can find villages where time seems to have stood still and fertile valleys fed by mountain streams. In contrast the pretty and sleepy harbour of Datca can become quite lively at night in bars along the waterfront. From Datca you could explore more bays in the Gulf of Hisaronu and return to Bodrum or continue on to Marmaris or Gocek. From Marmaris a week's cruise may take you to Bodrum or down to Fethiye, two weeks as far as Antalya. One of the first stops eastwards is the Dalyan river delta where you can take a day trip by river boat to ancient Caunus and spectacular 4th Century Lycian rock tombs carved high into the cliff face. Along the river you can take a mud bath which is very good for the skin. The long sandy beach is protected as a breeding ground for the endangered Loggerhead turtle. The Gulf of Fethiye is a magnificent gulet cruising area of bays, fjords, and 12 islands. A week on a gulet in this gulf is not enough. The scenery is beautiful with lush forests and hills and is completely unspoilt. The remnants of a bath house sit in the shallow water in Cleopatra's Bay and you can see Byzantine ruins on the island of Tersane. Elsewhere the bays are largely uninhabited apart from the odd rustic restaurant. At the head of the gulf Gocek is the finishing point for 7 day charters from Bodrum and Marmaris. You can start your gulet charter in the charming former fishing village of Gocek and cruise south east. After exploring the largely uninhabited bays and islands of the Gulf of Fethiye cruise to Oludeniz, a natural lagoon surrounded by high mountains. The ancient site of Patara is swept by the sands of rolling dunes and miles of white beach. Further east, Kalkan and Kas have their own quaint ambience with steep narrow streets, balconies overhung with bougainvillaea and bohemian rooftop bars. All against the backdrop of the magnificent Taurus Mountains. Sarcophagi, underwater ruins, a medieval castle and myriad bays and inlets are what make Kekova so special. You can lose yourself here amongst local village houses built against Roman walls and good humoured ladies selling brightly coloured scarves. Nearing Antalya at Porto Ceneviz sheer cliffs drop to the sea and the bay is completely deserted. The ruins of Olympos lie hidden, overgrown and hardly touched. You almost feel like you're the first to discover them. On the shores of ancient Phaselis the remains of the aqueduct, Roman theatre and market place are clearly visible. Antalya is the furthest we cruise on Turkey's South Western coast anchoring in the old harbour surrounded by restored Ottoman buildings. All our arrival and departure ports have airports nearby serviced by regular charter flights and scheduled services via Istanbul from Turkish Airlines.